Get the effects of an eye lift without going under the surgeon's knife with SkinChemists' miraculous Instant Eyelift. The innovative formula works to dramatically combat wrinkles, fine lines and puffiness in an instant. Essential details: SkinChemists' Instant Eye Lift is the perfect quick-fix for fine lines and wrinkles around the delicate eye area. 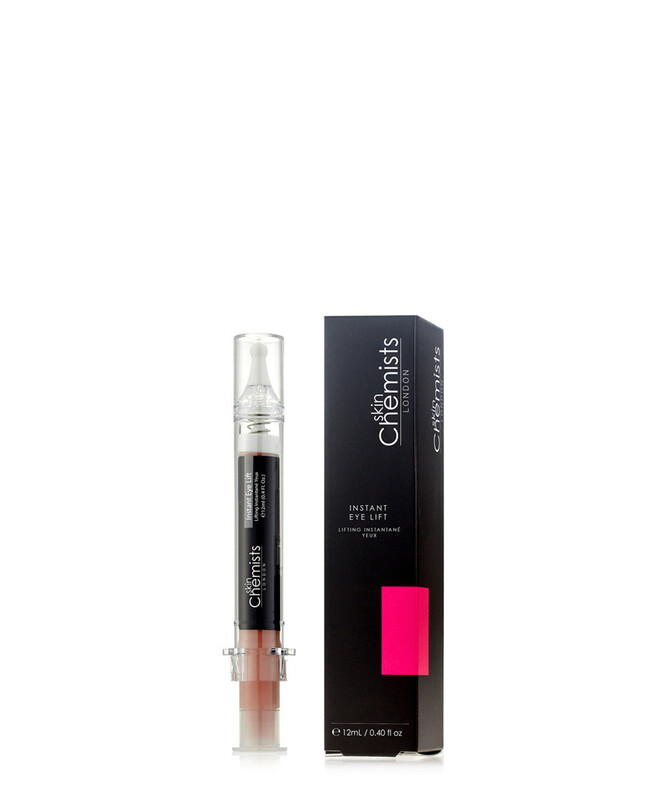 It aims to dramatically combat visible signs of ageing and puffiness in an instant for younger, rejuvenated eyes, in a unique syringe applicator to dispense just as much as is needed for a single application to minimise wastage. The main active ingredients in the formulation are Magnesium Aluminium Silicate aims to instantly lift and tighten the skin, with effects lasting up to 8 hours.